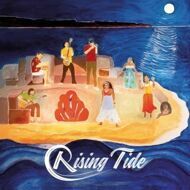 Rising Tide was born out of a group of musicians who have been performing together for many years. They are the creators of the internationally-renowned group Groundation and have found a new avenue to express themselves. We can hear their love of jazz, reggae, a mix of other styles, dub, innovation, improvisation, and creation. These are many of the ingredients you will ﬁnd in this unique project.